WTF Are You Reading? 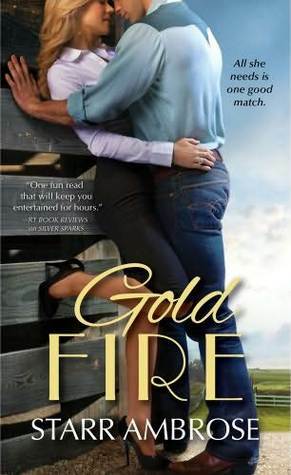 : Adult Romance Review: Passions Burn Bright In "Gold Fire"
Adult Romance Review: Passions Burn Bright In "Gold Fire"
Reformed wild-woman Zoe Larkin meets her match in saloon-owner Jase Garrett in this lighthearted, steamy romance set in a picturesque mountain resort town. Welcome to Barringer’s Pass, Colorado—a mountain paradise with a long memory. The Larkin sisters have tried for years to make the town forget the wild ways of their youths, but Alpine Sky Resort assistant manager Zoe Larkin can still feel the judgment, despite her guarded manner and sensible skirts. Her big chance to be taken seriously as a business woman comes in the form of a land deal: all she has to do is persuade the owner of the rundown Rusty Wire saloon to sell so the Alpine Sky can build a golf course on the land. Jase Garrett made a name for himself as a world-class competitive skiier and won four Olympic medals. But the tragic death of his best friend nine years ago threw him off course, and the Rusty Wire is both his sanctuary and his hideaway, so he will never sell. No matter what. Zoe goes back to the drawing board with a little assistance from her very attractive boss. But when Jase is the victim of arson, Zoe becomes the number one suspect. Has she sunk to new lows to gain a promotion? Or is she the victim, too? This is a sweet romance in which you fall in love the with the leading man and his lady long before they fall for each other. What we have here is a case of two wounded souls. Each trying desperately to escape the ghosts of past wrongs. Zoe, by striving to break through the "glass ceiling" of the Alpine Sky resort's "good ole boys' club". Jace, behind the bar of the honky tonk that he owns. Zoe shows herself to be a "never say die" type girl from the start. She just can't seem to catch a break. What she does get is a lot of lusty looks and condescension. It's nice to see her hold her own with the big boys and not be the damsel in distress that they want. Though Jace tries so hard to be the tough aloof loner; the grief that he carries over his past makes him a very easy candidate for the reader sympathy card. When the reasons for his closed and distant attitude toward life come to light, you understand why he is being so adamant in not selling his land and bar. The tug-of-war that results just proves that they are two sides to the same coin, and therefore made for each other. There is a bit of mystery surrounding things that happen at the bar, but it is romance that rules the day. The love scenes are great and very well described and the pacing of the novel is very easy to follow. Readers will be happy to note that the writing style employed in this novel is very straight forward and not flowery or overdone. This is a very fast and light read that manages to balance plot and romance without becoming sappy. There is the customary "happily ever after" bow that ties things together at the end. The only down side about this read is the predictability factor. 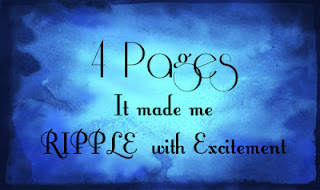 If there had been a little more uncertainty about where the book was going; it would have been a 5 for sure. I'm with Soma. I was going down my blog feeds, and saw that cover. I just stopped scrolling and clicked. That overview is enough to make you go crazy, too! Thanks for the review! I'm definitely adding this to my Tbr-list. Definitely going on my TBR list!